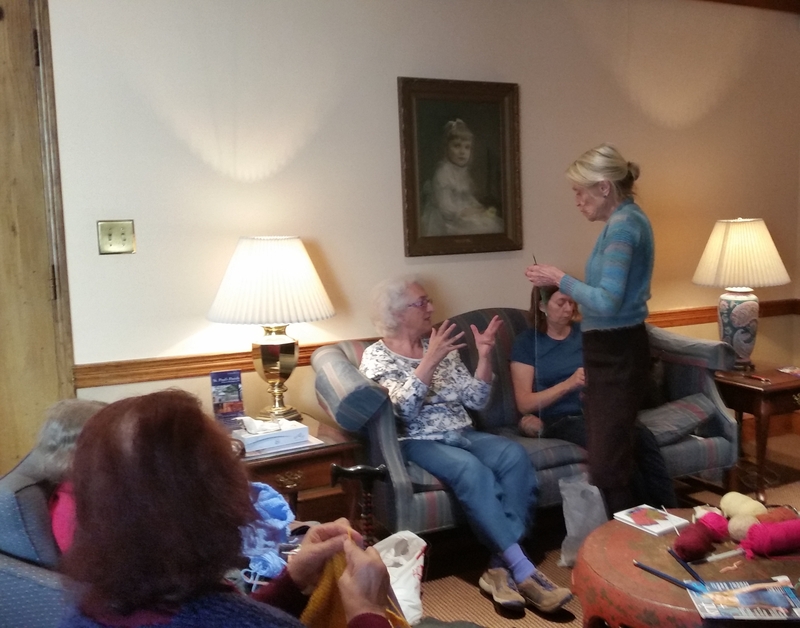 At the Village's kick-off knitters group meeting on April 11, Village volunteer Claire Wagner showed us how to cast on stitches and wrap yarn around a needle to make a knit stitch. By the end of the hour beginning knitters were having fun comparing how many rows they had knitted while more experienced knitters were comparing patterns, sharing techniques, and trading tips on stitches. Come join in on the fun—all members are welcome. The group meets at 4 pm every first and third Tuesday of the month.